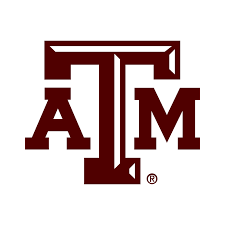 Send your belongings to and from Texas A&M University with My Baggage! My Baggage offers fast and affordable college shipping services to and from Texas A&M University. We help thousands of students transport their luggage every single semester. Most people don’t actually know that Texas A&M University is actually the oldest higher education institution in the Texas. It was founded in 1876. Some fun facts: Texas A&M has a real life dog mascot. Reveille is a Rough Collie that’s been around since 1931! As well, Texas A&M has a Midnight Yell pep rally every year, where the lights are turned off for a period and students kiss their date in the dark! My Baggage makes booking your luggage shipment to college an effortless process. Our online booking system is available 24/7 and it takes just a few short moments to complete. Start by obtaining a quote online. Once you’ve booked your shipment, we’ll send you some shipping labels to print and attach to your items. After that, you can sit back and relax as we collect your shipment and deliver it straight to where it needs to go. It’s that easy! Forget hauling your suitcase or heavy bags from home and through train stations, taxis and airports; our convenient luggage shipping services are theperfect solution. When you send luggage with us, we make sure that you’re always kept in the know. You’ll be given access to full online luggage tracking information which will allow you to monitor the progress of your shipment every step of the way. You’ll also be given the option to opt-in for text and email notifications to stay totally up-to-date on the go. If you happen to have any questions or concerns along the way, our customer support team will be more than happy to help. At My Baggage, we pride ourselves on our unrivalled customer support. Thanks to many years of experience, our team are experts in shipping students’ luggage. You can contact us via phone, email and live chat. International luggage delivery to 200+ countries worldwide. To ensure that your big move to college is as effortless and as stress-free as possible, My Baggage offers a convenient door to door service within the US, UK, across Europe and to over 200 countries worldwide. There’s no need to leave your stuff off at a drop-off point and no need to venture out to collect it. We’ll take care of it all for you! If you are living in dorms on the Texas A&M campus, items will be collected from and delivered to the main reception area or designated mail room. However, we do recommend that you double-check this with your college before booking with us. My Baggage provides £100 free compensation cover on every single shipment. You will be given the option to increase this value right up to £1,000 for a small additional fee during the booking process, if you wish to. Before choosing your cover, we recommend having a read through our list of prohibited and no-compensation items. My Baggage offers international student shipping to over 200 countries worldwide! So, if you’re an international student arriving to study at Texas A&M University, or are heading abroad to study elsewhere for a year, you can send your luggage with My Baggage!